New study reveals effect of dietary sugar and fat on gut bacteria, and the effect of altered gut bacteria on memory and cognitive flexibility. 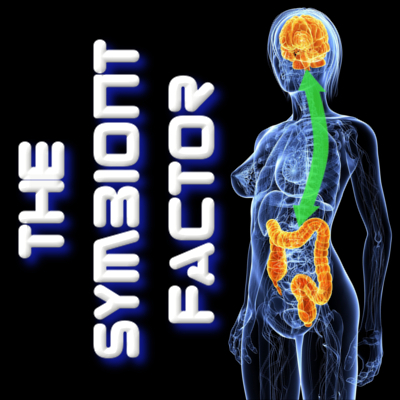 One of the core, pillar concepts of my book The Symbiont Factor is the fact that “our” mind is heavily influenced by the presence and activity of our gut symbiont organisms. Gut bacteria influence different parts of the host/human brain and alter genetic expression and neurotransmitter sensitivity, which alters everything from our stress response to our very personality. In this new research study, researchers demonstrated that changes in gut bacteria resulting from changes in diet result in changes in behavior. Specifically, diets high in sugar and fat resulted in reduced short and long term memory as well as less cognitive flexibility. If you click the link and read the research abstract, you’ll see that the diet used simulates the “Western Diet”. This, folks, is basically the American diet, which has now spread to other parts of the world. In research it is used as the standard diet to produce disease in a laboratory animal! So, what does this have to do with humans, since the study was performed on mice? Well, short and long term memory are daily issues and probably declining across Western society. Don’t think so? Try not using your smart phone to recall phone numbers or addresses but just key them in from memory. Try shopping without any list or remembering the last ten meals you ate. These are not really difficult tasks and yet our modern technology combined with our modern diet/loss of microbiome diversity has resulted in significant reductions in these basic mental functions. What is cognitive flexibility? It is the ability to solve a problem when the rules have changed, or to simply adapt to changes in daily life. When you see a person that gets upset because his/her daily routine gets changed, that is a lack of cognitive flexibility. When you see someone who can no longer figure out how to balance a checkbook because now some of the transactions use debit cards, that is a loss of cognitive flexibility. This research article does a simple, elegant job of pointing out that our diet does in fact alter our microbiome, and that has profound effects on how well our brain operates! The gut microbiome heavily influences the brain, and is in turn heavily influenced by what we eat. Think about that when you see how much sugar today’s children consume…every day that I visit a WalMart I see parents with kids that are unfocused, unruly, and hyperkinetic (all signs of reduced brain frontal lobe function) and then see those parents fill their shopping cart with frozen dinners, cases of sweet soft drinks, and let the kids pick out those fake popsicles that are straight colored sugar water. Think it doesn’t change how a child’s brain and mind develop? The average American is now consuming 152 lbs of sugar per year! that is an average, and includes many like my family who consume far less. So, that is today’s “food for thought”… and also one of the reasons that we should all know more about our gut bacteria. For more information, read my book-The Symbiont Factor-available on Amazon here: http://tinyurl.com/mbb8fvc. If you’d like to know more about your personal microbiome, what organisms are there, good guys and bad guys and what can be done to improve it, contact me. This is one of the services that I now offer! This entry was posted in Uncategorized and tagged bifidobacteria, brain, gaps, gut bacteria, gut bacteric, gut brain axis, HPA, inflammation, lactobacillus, neurotransmitters, probiotics, stress, sugar, Western Diet on May 24, 2015 by Dr. Richard Matthews.